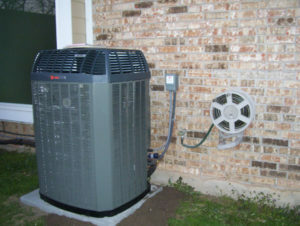 Are you trying to find the best Houston Air Conditioning Installation specialists around? If you’re unsure of how you’re going to be able to get through these troubles and you don’t know what to do about it, make sure you call int our team. 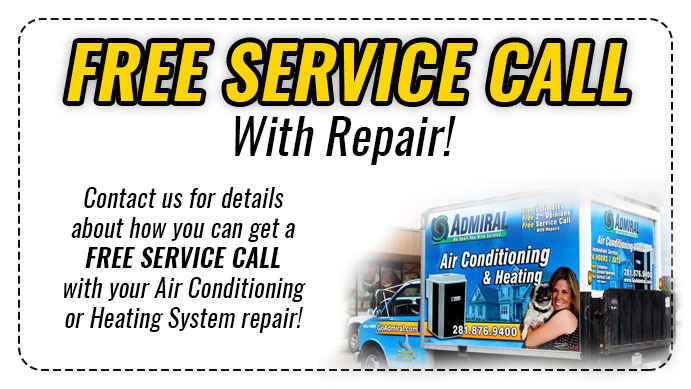 Houston Admiral Services is here to provide you with timely assistance and the top notch services you’re deserving of. Call us today at 281-876-9400 or visit our website today to learn about what we can offer you. Installing the right air conditioning and heating units is absolutely vital. You need to make sure you have the right equipment and machinery that’s appropriate for your setup. Are you ready to start learning more about this industry and figuring out exactly what you need? While you may not know how to handle this all by yourself, you’ll be able to count on our team to provide you with timely assistance. We have a squadron of NATE-certified technicians who are always ready to help you. Our team has experience working with a medley of different customers and clients. If you’d like to make sure you’re able to cool down your residence, we’ve got you covered. Trying to heat up your office building in the middle of November? If so, you can count on Houston Admiral Services to be there for you at all times. We understand that people come from all types of different walks of life. Are you trying to figure out how you’re going to make sure you find the right residential solutions for your home? If you’re trying to find commercial answers for your franchises and local businesses, our team can help with that as well. We have a versatil team of experts who want to make sure you’re perfectly fine whenever you have to go through repairs, replacements, and inspections. Trust our squad if you want affordable prices and friendly servicemen. If you need a major air conditioning installation, repair, replacement, or maintenance, you may be wondering how you’re going to pay it. After all, not all of us have thousands of dollars lying around to sink into a heating and cooling unit. Are you ready to figure out the best way to pay for the things you need the most but you’re still unsure of how you’re going to navigate it? If you’re interested in finding some timely solutions that make things much better for you, our team is ready to help. 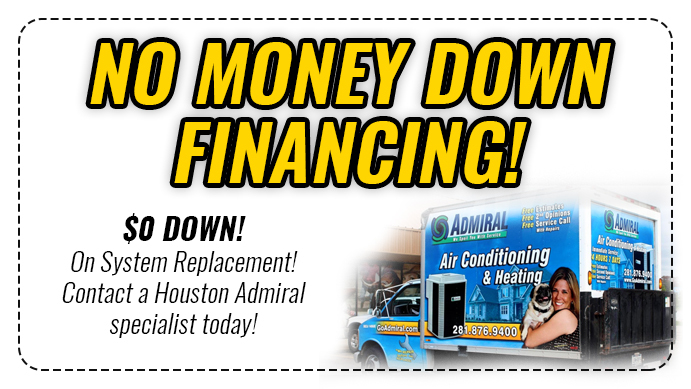 Keep on reading to discover the hidden secrets and savings behind the brand of Houston Admiral Services. If you’re trying to save some money on your air conditioning maintenance, you may be trying to find a way to finance your costs. Are you unable to pay everything at once and you need some type of help getting the most out of your current budget? When you don’t have a way to pay things in a lump sum, it’s time to consider borrowing. Financing options could seem scary at first, but our professionals know how to help you manage this route. You’re someone who’s probably trying to figure out the best way to lease without paying too much more cash for what you need. Are you dealing with a lot of problems regarding paying for your air conditioning and heating unit and you’d like some help? This is not an uncommon problem amongst Americans and Texans. If you’re ready to start figuring out your conundrums and making the most out of your situation, contact our team and continue to read for more information. The FTL ESC Card is something that is very important for people like you. 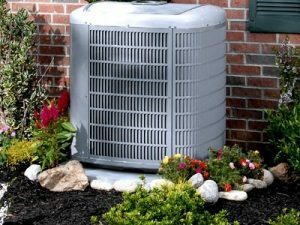 Are you trying to figure out how you’re going to afford your air conditioning unit but you don’t know how it’s going to happen? Make sure you’re able to decipher your savings and get the most out of your financing by using this. If you have experience paying bills such as these, you’re definitely going to love the added flexibility by counting on our team. Did you know that we’re able to help you save money on your interest? If you continually chip away at it and pay it down, you’ll definitely want to count on our team. We offer options that involve lowered monthly payments for paying down interest quickly. Our team wants to reward those who properly maintain what’s going on with their revolving accounts. If you’d like to find the right assistance without paying too much, our professionals will help. Houston Admiral Services is a company, and we’re people just like you. We understand that nobody wants to use all of their finances and resources on what’s going to heat and cool your structure. If you’re a residence owner, you want to make sure you have the answers you deserve when it comes to your home heating. If you have an office, your commercial building most definitely deserves to be cooled during your important client meetings. Because of this, we put even more stock into the services we offer you. Make sure you’re able to count on the team we’ve built here at Houston Admiral by calling us when you need assistance. Our Houston Air Conditioning Installation professionals are ready to make sure you have the right resources for when things go wrong. You’re probably worrying incessantly about what’s going to happen with your air conditioning units, and we honestly don’t blame you. This can be something that truly holds you back from achieving greatness, and we understand your frustrations. Know that our team is around to help you when you need it he most, and we won’t hesitate to lend a helping hand. Call us today at 281-876-9400 to learn more about what we have to offer. You won’t regret it, and you’ll be happy you counted on our team! Over 93 different languages are spoken here in Houston every single day! Because of this, we are able to celebrate our diversities frequently within cultural hubs throughout our city. Houston is one of the largest cities in Texas, and it also happens to be the energy capital of America.